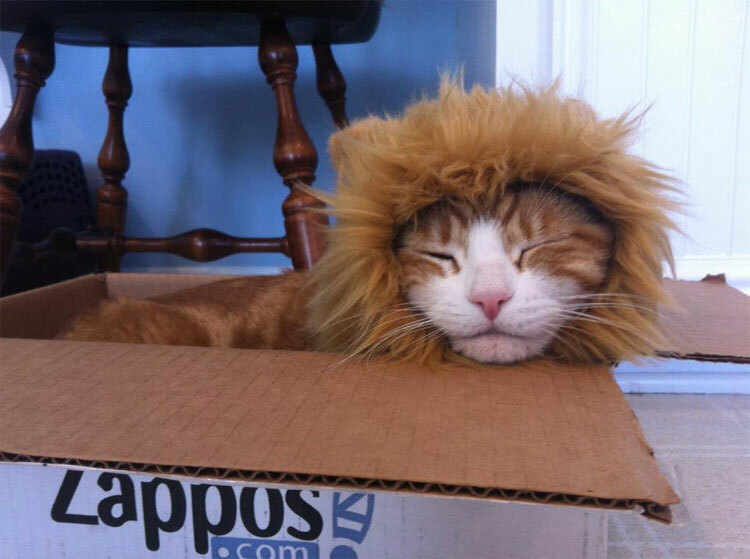 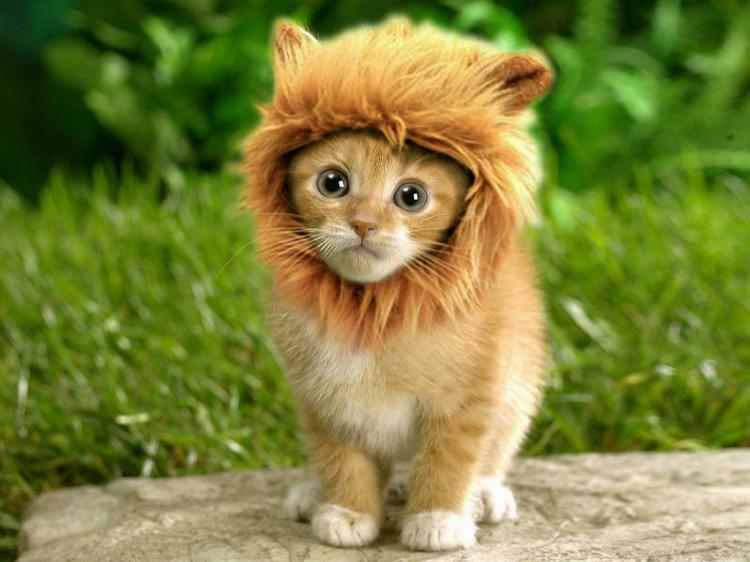 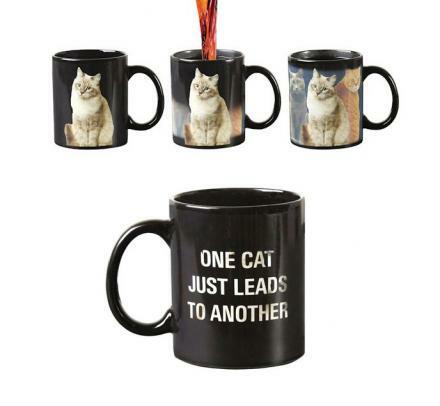 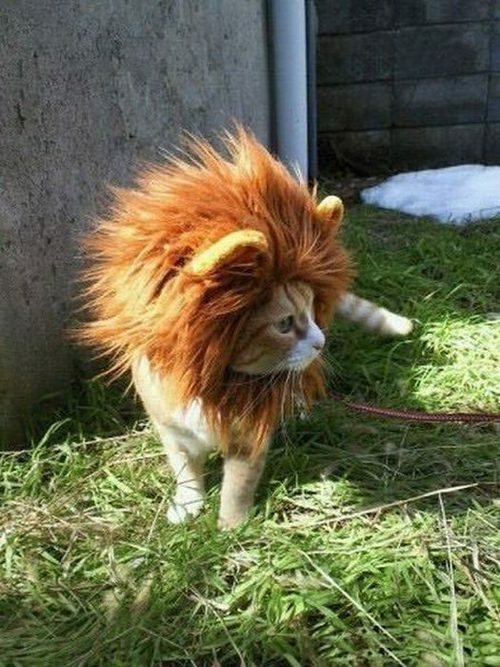 Turn your cat (or dog I suppose) into a ferocious lion. 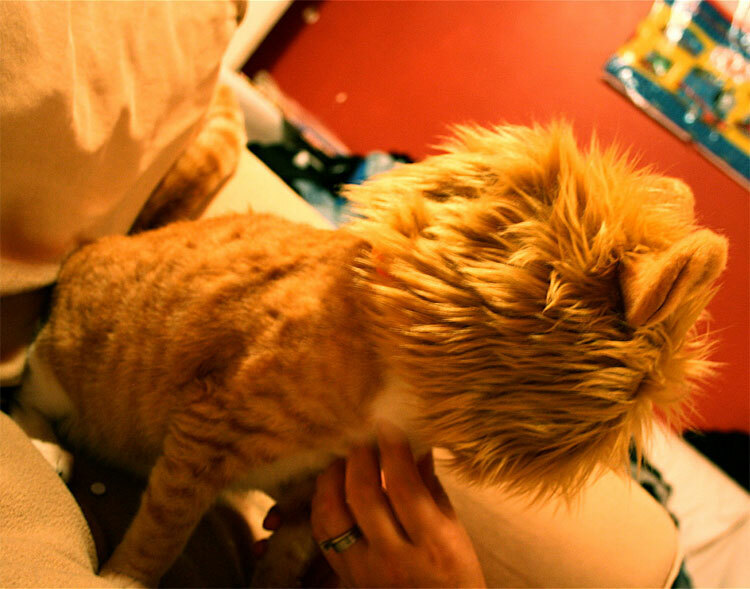 No animal will ever approach your cat in a confrontational manner again after gazing at the mane of justice discharging from their face. 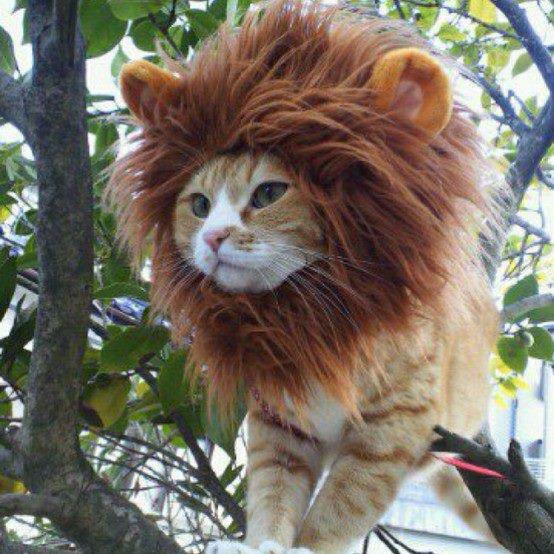 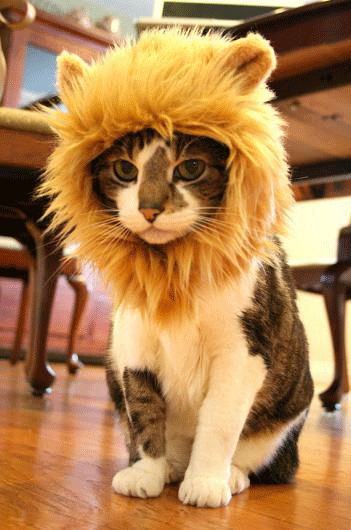 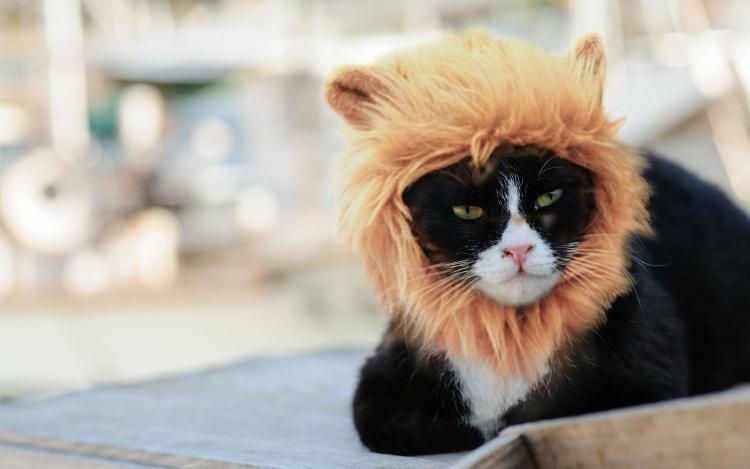 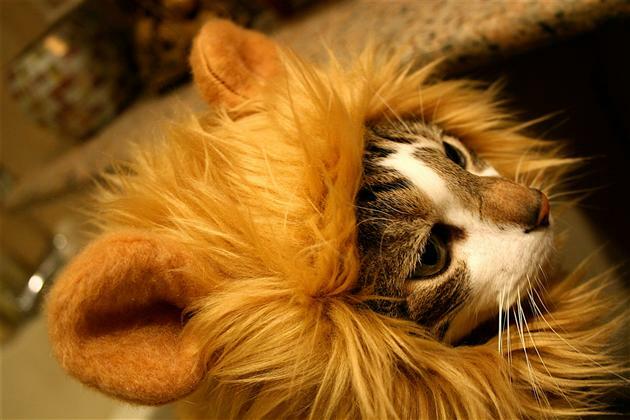 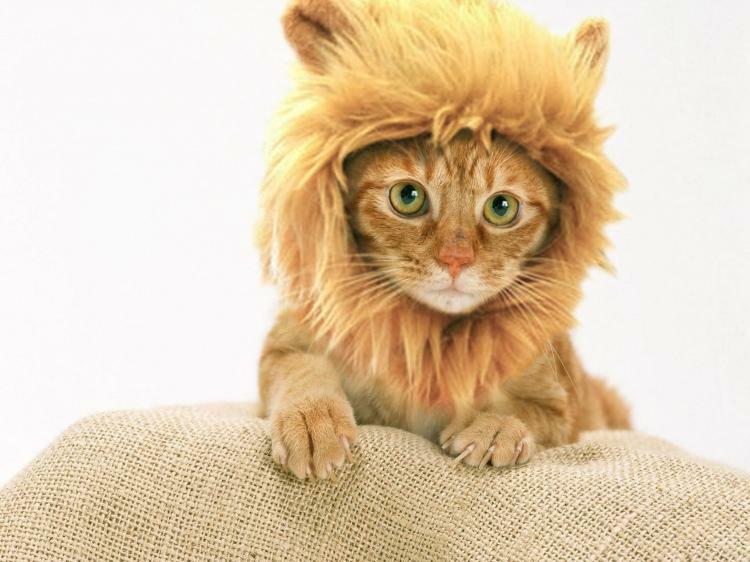 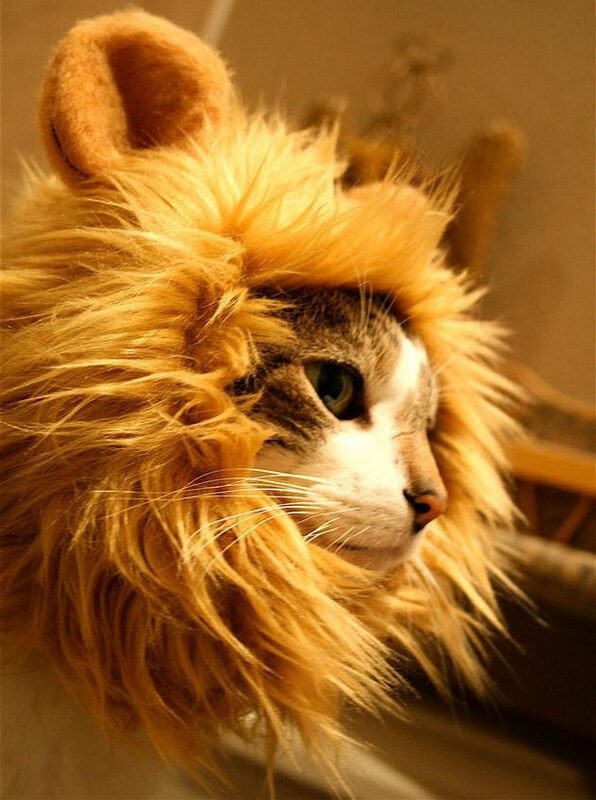 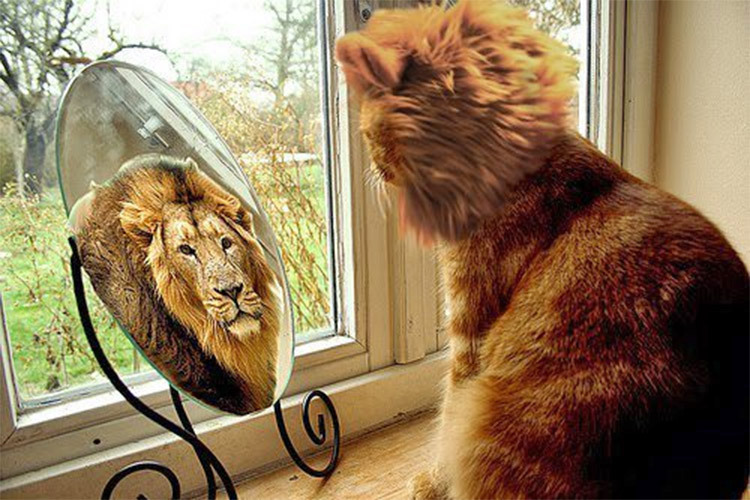 The lion mane cat hat is a wig for your pet that will make them look like a lion. 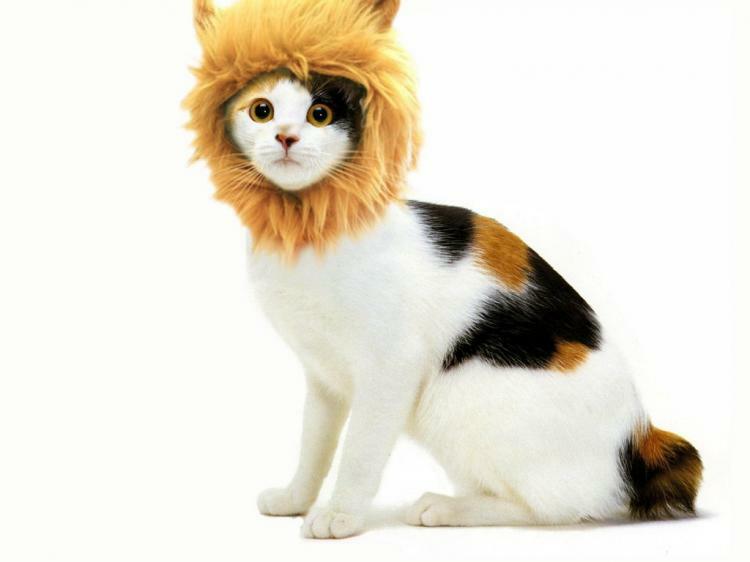 The manes are handmade and attach to your cat with Velcro straps that connect under the chin. 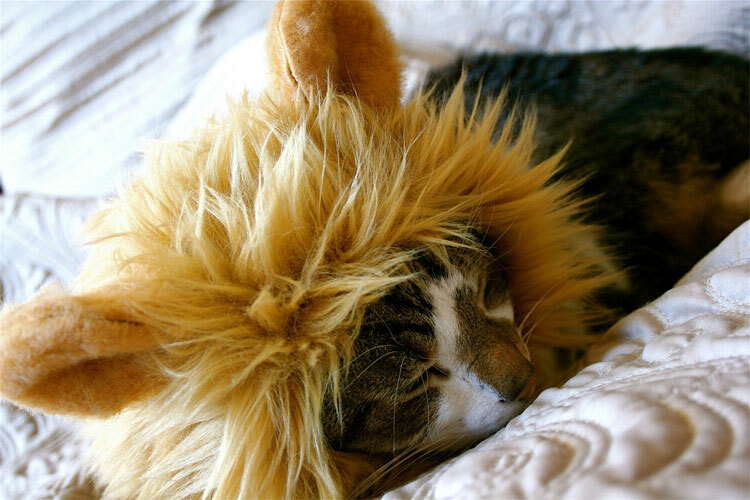 The outer color of the cat mane is caramel and the inner lining color may vary, the face opening is 3 inches in diameter, and the rear opening is around 3.5 inches in diameter.